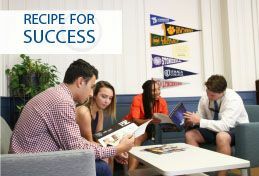 Cheshire Academy has been at the forefront of education since its founding in 1794. Throughout its storied history, the Academy has undergone changes that have strengthened its core and allowed it to persevere. While we can't share the full history of the academy on this site - 225 years of existence warrant much more detail than can be expressed here - we can share some highlights of this prestigious institute's existence. In the early 1900s, alumnus Joseph Harriman modernized the campus, abolished the military aspect of the school and re-named it The Cheshire School. In 1917, the school was purchased by the Roxbury Training Center for the purpose of preparing students to enter Yale University. The school taught classical studies and entered a period of stability. An interesting fact is that even though the school was officially The Episcopal Academy, by the early 1800s, parents and boys addressed letters to The Cheshire Academy. This was seen in letters of graduate Samuel Welles to his son Gideon Welles (letter 1, letter 2), who would later become Secretary of the Navy under Lincoln. From 1770 – 1780, the Episcopal religion was floundering in the colonies. Believing that the religion would be better received if there were an American bishop, a delegation sent Samuel Seabury to England. When he returned as the first Episcopal Bishop of America, one of his first duties was to start a school to educate future clergy. Cheshire was chosen as the site and in 1794 the Episcopal Academy of Connecticut opened its doors.